The brand’s general manager on the UK is the perfect brand launch pad. Kathryn Bishop catches up with Nina Muller, general manager for Lola and Grace, who discusses expansion into wholesale, global growth and why the UK was the perfect launch pad for its costume jewellery collections. "I see jewellery as the cherry on the cake – Lola and Grace is here to complement your outfit and suit every mood, moment or occasion,” begins the upbeat Nina Muller, general manager of Swarovski costume jewellery brand Lola and Grace. While that might sound like the perfect marketing spin for a brand that hopes to acquire fashion-savvy 20-somethings as its main customer base, an in-depth conversation about design, trends, marketing and social media demonstrates that Muller understands her target consumer better than anyone. She is guiding a brand that launched just two years ago but today operates seven standalone stores across the UK and Italy and boasts countless multiple and department store stockists in even more European locations, including big names such as House of Fraser, El Corte Ingles and Bluespirit. The brand’s approach to marketing has also been crucial, with seasonal imagery that captures the effervescent personality that Lola and Grace imparts to consumers. To date, this has included snapping models in party dresses, wrapped in chunky faux pearls while glitter cascades through the air around them for its AW13 campaign, or this summer’s bubblegum-kitsch tropical campaign, nattily titled Piña Colada, fusing pastel colours with rainbow-hued jewels, stacking bangles and chunky crystal designs, as seen on the cover of Professional Jeweller’s July issue. These images are shared across social media and in Lola and Grace’s own miniature magazine, Moments, given to shoppers in store. This in turn encourages customers to interact with the brand’s ongoing social media hashtag #makethemoment — a strapline that adorned the bags it gave out to visitors to its stand at BaselWorld this year. These markets include Asia, where the brand’s cocktail ring and statement designs won “very positive feedback”, proving to Muller and the team that, despite assumptions, the Asian market isn’t only focused on daintier, subtle pieces. With BaselWorld done and dusted and a venture to Australia to cement its distribution down under completed, Muller says Lola and Grace is now on course to widen its retail network even further. In the UK in particular this will be through owned-and-operated stores, and work with multiples retailers. So is the brand on track to push into wider wholesale? “We see three important channels: our own stores and concessions, digital and multibrand retail,” Muller explains. The multibrand stores in question presently fall into the multiple retailer category, rather than family-run or fashion-led independent jewellers. “In the long run, we would like to work with more independent retailers but we want to keep [distribution] lean and efficient as it becomes complex having too many accounts,” she states. 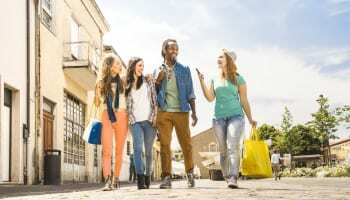 In Germany, for example, the brand is opening its first shop-in-shop corners with a small retail chain, with four of these corners set to be open by September. “We have developed our first furniture too, suitable for small corners, pop-up stores and areas in our own stores,” Muller adds. Alongside its social media marketing, the brand has recently upped its e-commerce game, launching worldwide shipping and the site in five languages and nine currencies. Lola and Grace has operated a UK webshop since November 2012, but it plans to push more online sales in Europe in the coming months and will launch e-commerce sites for the US and Canadian markets in 2015. Nevertheless, having the combination of bricks-and-mortar stores and a burgeoning online business has already allowed the two-year-old brand to collate sales data and identify bestsellers, thus shaping current and future collections. Its price points are also carefully staggered, with the average product featured on the Lola and Grace site retailing for about £29.90, with entry-level hoops from £12.90 and, at the highest end of the price spectrum, a multi-wrap leather and crystal bracelet for £79.90. The Lola and Grace range is split into different families, with two main collections launching per year for the spring-summer and autumn-winter seasons, and smaller ‘drops’ during these periods. When a piece is launched, it is given about six weeks to determine whether it has the potential to stay on sale longer, or will be discontinued. “We’re still young so we can learn from that and have time to experiment,” Muller states. What can the industry expect next from this costume brand? While it might be some time before Lola and Grace is available at wholesale for indies operating in town across the UK, Muller focuses on the new shop openings that are part of its strategy in the remainder of 2014. 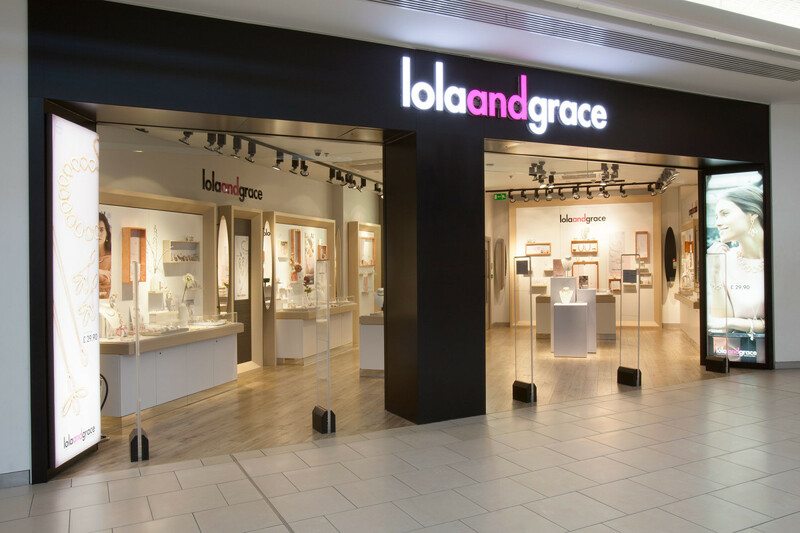 The company plans to open in Sheffield’s Meadowhall and Glasgow’s Buchanan Galleries later in the summer, marking Lola and Grace’s first standalone stores outside of London. This interview was taken from the July issue of Professional Jeweller. To read the issue in full online, click here.